Levi T. Thompson, the Richard E. Balzhiser Collegiate Professor of Chemical Engineering at the University of Michigan, has been named dean of the University of Delaware’s College of Engineering, effective Oct. 1, UD President Dennis Assanis and Provost Robin W. Morgan announced Thursday, July 26. He also will be appointed as Elizabeth Inez Kelley Professor of Chemical Engineering, with tenure, in the Department of Chemical and Biomolecular Engineering. Thompson, who earned his bachelor of chemical engineering degree at UD in 1981, succeeds Babatunde Ogunnaike, who has led the college since 2011 and will be returning to the college faculty. After graduating from UD, Thompson went on to earn two master’s degrees from the University of Michigan in chemical engineering and nuclear engineering, as well as his doctorate in chemical engineering. Thompson began his teaching career in 1988 as assistant professor of chemical engineering at the University of Michigan. He has been the Richard E. Balzhiser Collegiate Professor of Chemical Engineering since 2005 and served as associate dean for undergraduate education in Michigan’s College of Engineering from 2001 through 2005. During his service as associate dean, the college experienced significant increases in diversity, student retention and undergraduate enrollment, as well as an improved ranking. 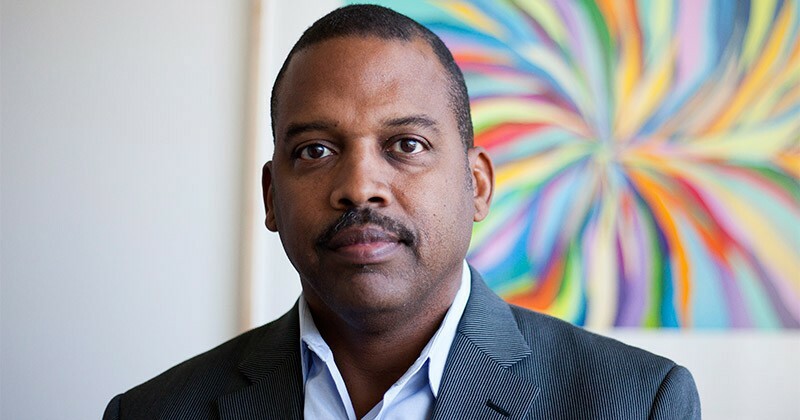 Thompson is director of the Hydrogen Energy Technology Laboratory and director of the Michigan-Louis Stokes Alliance for Minority Participation. He has received numerous awards, including the University of Delaware Outstanding Alumnus award in 2006, a Michiganian of the Year award in 2006 Engineering Society of Detroit Gold Award in 2007, the NSF Presidential Young Investigator award in 1991 and the Dow Chemical Good Teaching award in 1990. He is internationally recognized for his research to design and synthesize nanoscale materials for catalytic and energy storage applications. He also co-founded a start-up called T/J Technologies, a developer of nanostructured materials for lithium ion batteries, and helped to spin off a second start-up, Immatech Inc., from the University of Michigan to commercialize low cost, high-energy density supercapacitors. Thompson was on the American Institute of Chemical Engineers (AIChE) Board of Directors from 2014-2016 and was a consulting editor for the AIChE Journal. He also served on the National Academy’s Chemical Sciences Roundtable, External Advisory Committee for the Center of Advanced Materials for Purification of Water with Systems and AIChE Chemical Engineering Technology Operating Council. Thompson was chosen after a national search involving a broad base of internal and external constituents who participated in a very engaged interview process. The search culminated in campus forums during the spring semester for five finalists who offered presentations and fielded questions from the campus community. The president and provost both expressed sincere appreciation to search committee co-chairs Thomas H. Epps, III, and Cathy Wu, along with the entire committee and the University community, for their time and energy during the selection process.